EXCLUSIVE Tower 2 Launch in Singapore (Ahead of UK)! Enjoy Assured 19.5% Guaranteed Rental Return Over 3 Years! 15% Early Birds Discount for Limited Period! Expected Date of Completion (T.O.P.) Tower 1 Estimated Q2 2021. Long Stop Date: Q2 2021. Tower 2 Estimated Q4 2021. Long Stop Date: Q4 2022. Soaring 27, 33 and 39 storeys high, Infinity Waters, a landmark development forms a stunning waterfront. Infinity Waters @Liverpool is ideally situated within easy walking distance of Liverpool City Centre, Moorfields underground station and is adjacent to one of the city’s arterial routes, Leeds Street. Infinity Waters will become an iconic triple tower development consisting of luxury studio, 1, 2 and 3 bedroom apartments complemented with access to a range of 5-star hotel style amenities and facilities which residents will have access to. The three towers will feature a selection of world-class hotel style facilities including 24 hour concierge, reception, full luxury spa including a sauna, steam room, swimming pool, Jacuzzi, Cinema Room, an onsite gym, private garden area, private lounge, meeting space, dining rooms and car park spaces. The tallest of the towers (Tower A) would be the third-tallest building in Liverpool, at 403 ft. To put that in context, the West Tower – currently the highest building in the city, stands at 459 ft high. In second place is the Radio City tower at 453 ft. Tower A had sold >80% up to date, the Tower B is Open for Sales at 15% Below the valuation. Don’t Miss! The initial design was for each tower to stand at 34 storeys tall. After initial meetings with Liverpool City Planners, however, the design was adapted to include three towers of 27, 33 and 39 storeys. This staggered design will include 63 three-bed apartments, 457 two-bed apartments, 163 one-bed apartments, and 232 studio apartments. All this means the development will offer over 1000 apartments altogether, as well as a luxury spa, gym and pool, alongside 10,000 sq ft of commercial space. 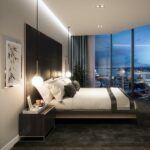 It has been claimed that the penthouse at the top floor of the tallest tower will enjoy near 360-degree views of Liverpool, which on a clear day could stretch as far as Snowdon and the Lake District. Investing in the Infinity Waters complex gives you the chance to add a stylish new-build apartment to your portfolio in a prime waterfront location. This fully managed property allows you to have a ‘hands-off’ approach to your investment, which allows you to fully enjoy the 7% net yield which is assured for three years. It is estimated that the development will be completed in the fourth quarter of 2019, and there is an incredible 15% early investor discount available. Investment opportunities from £106K Only. These investment opportunities present a unique chance to own a part of an iconic development that simply cannot be missed. With 6.5% net yields assured for three years, these units are sure to be snapped up in no time at all. Hotel style facilities: 24 hour concierge, luxury spa including a sauna, steam room, swimming pool, Jacuzzi, cinema room, onsite gym, private garden area, private lounge, meeting rooms, car park spaces, etc. What’s More as Early Birds Buyers? 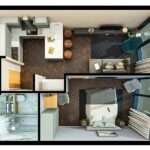 Early investors will have the choice of the best units within this exclusive Liverpool address and will be able to purchase an apartment 15% below the projected market value upon completion. Infinity Waters @Liverpool is ideally located right next to the central business district(CBD), on Lanyork Road just off Pall Mall within Liverpool city centre. Only 2 minutes walk from Liverpool’s famous waterfront and a few minutes from Liverpool One offering a range of diverse offerings in terms of culture, retail and employment. Extending over 2km along the banks of the River Mersey, Liverpool Waters is the redevelopment of 60 hectares of historic docklands and will create a world-class, mixed-use waterfront quarter in central Liverpool. Liverpool is one of the UK’s most well-connected cities, which gives it an appeal that few canrival. In terms of infrastructure, the Merseyside city has its own airport, access to all major cities via motorway, ferry services and an excellent internal transport system. Liverpool’s number one shopping destination just a short walk away. A snapshot of Liverpool’s history, now home to Tate Liverpool, only 15 mins walk. Host to live music acts from Rod Stewart to Rihanna plus much more. With two cathedrals at either end to explore, just a short walk away. The resurgence of Liverpool’s historical waterfront has been pivotal in securing the city’s long-term economic prosperity. It is an area that is subsequently undergoing substantial regeneration, with the aim to place Liverpool firmly on the map as a global trading gateway and a prominent tourist destination. Phase 1 includes 3 residential towers and a cruise liner terminal within Princes Dock, all expected to start on site in 2018. Phase 2 offers 2 residential buildings, an Isle of Man Ferry terminal and new road infrastructure on Waterloo Dock, all expected to start on site in 2018. 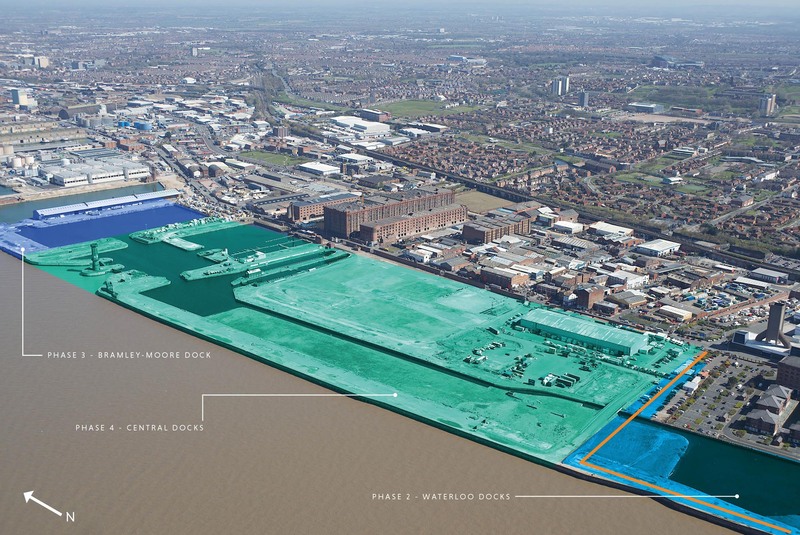 Phase 3 is the proposed world class stadium for Everton Football Club on Bramley Moore Dock. Phase 4 includes masterplan improvements for the Central Dock area to take place in 2018. Phase 5 is an improved road infrastructure within King Edward triangle to offer additional access to Liverpool Waters. Liverpool Waters has progressed beyond all expectation since the masterplan was prepared 10 years ago. The advancement of Liverpool Waters has urged us to re-examine what was originally proposed for Central Dock. 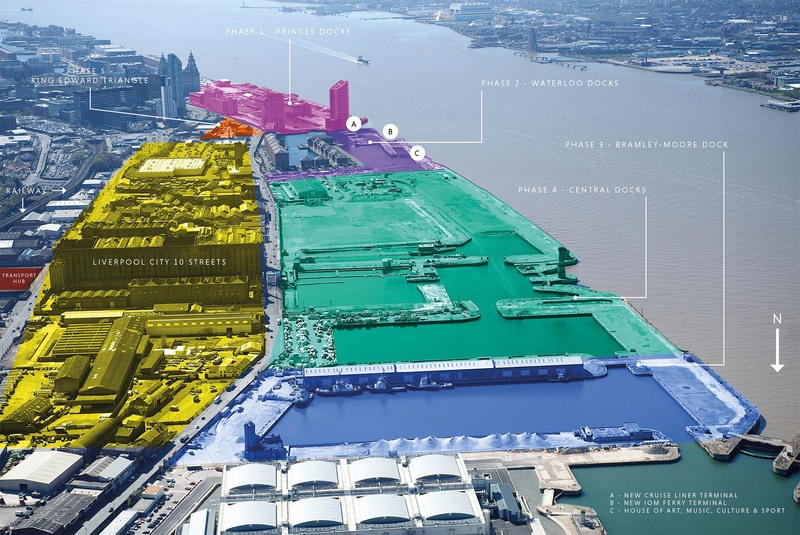 We have exciting plans for Central Dock and changes are being made to update this part of Liverpool Waters, current building typologies and a planning application to put these changes into effect will be submitted early next year. This land will be available during 2018 and will present exciting opportunities for others to join with Peel to develop. Central Dock – It’s just a 5 minutes walk from Infinity Waters. A new road into Central Docks is to be constructed by the City Council shortly that will service the new Isle of Man Ferry Terminal and proposed cultural buildings for development. Central Dock will form the primary business, entertainment and leisure district of Liverpool Waters – covering almost 60 hectares and having at its heart two breath‑taking public parks and a new cultural hub dedicated to Liverpool’s international heritage of music. Future planning permission for more than 200,000 sqm of floorspace that includes 75,000 sqm of offices, a cinema and other leisure facilities. Princes Dock – is already an integral part of the Liverpool Waterfront, an established area of Grade A office space sited alongside hotels, leisure facilities and quality high rise residential development. Northern Dock – is another opportunity within Liverpool Waters – a neighbourhood of over 3,000 homes woven within the fabric of the internationally recognised historic dock that has earned the city its World Heritage Site status. It is a unique part of the Liverpool Waters masterplan. Its unrivalled waterfront setting and views coupled with the distinctive dockland fabric creates opportunity for a vibrant neighbourhood. It will build around existing dock water spaces and heritage assets to develop an unprecedented residential neighbourhood allowing residents to have exceptional unrivalled waterfront views and reside in a distinctive area of character and vibrancy. The rapid transformation of Liverpool has mainly focused on central areas of the city however, investor sentiment has now shifted to the north of the city’s centre. It will be a dynamic place, promoting social interaction and cultural exchange within, around and through its buildings and public spaces. Infinity Waters is next to Liverpools prosperous Commercial, Retail and Business District and is home to the headquarters of some of the UKs top companies. Over the next 5 years, Liverpool Commercial District BID will build on the area’s success through investment that will drive further growth to the district. Infinity Waters will become an iconic triple tower development consisting of luxury studio, 1, 2 and 3 bedroom apartments complemented with access to a range of 5-star hotel style amenities and facilities which residents will have access to. The three towers will feature a selection of world-class hotel style facilities including 24 hour concierge, reception, full luxury spa including a sauna, steam room, swimming pool, Jacuzzi, Cinema Room, an onsite gym, private garden area, private lounge, meeting space, dining rooms and car park spaces.